Without a doubt one of the most beautiful settings in Glenmore. 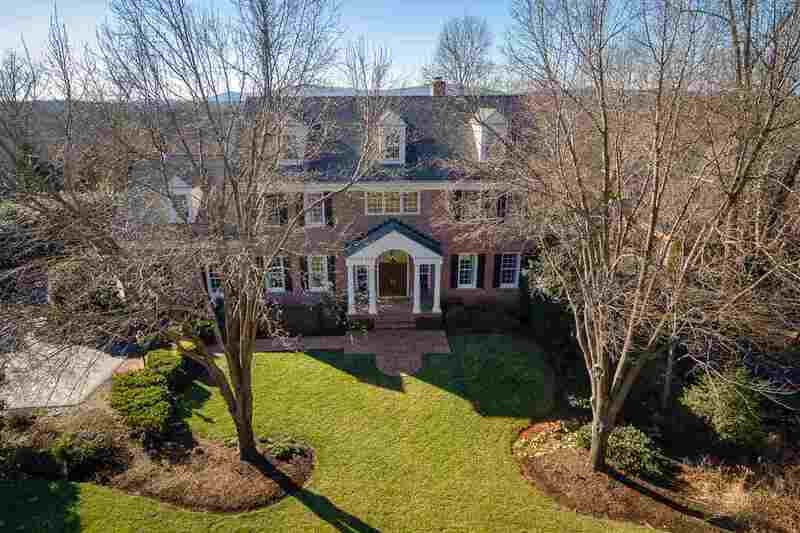 Captivating views of Monticello Mountain and the simply stunning presence on Darby Road are what make this 5 bedroom residence one of a kind. Built by Glenmore Select builder Selinger homes, the features include 10' ceilings, 9-piece crown molding on entire main level, hardwood flooring on both levels, brand new kitchen and a wine tasting room on walkout Terrace level. The luxurious 19 x 16 Master Suite is second to none. Spa-like bath and a 13â5 x 14 sitting area. These two rooms share a see thru fireplace and all have views of Monticello Mountain. 3-Car garage, 2 new Trane HVAC systems, and completely repainted inside and out. Directly across from Darby Park. Directions: 250 East to RIGHT onto Glenmore Way. Follow to Security Gatehouse. Obtain directions from guard. Please, send me more information on this property: MLS# 585276 – $1,195,000 – 3072 Darby Rd, Keswick, VA 22947.